In 2016, mobile traffic historically surpassed desktop traffic for the first time. And if you’ve been keeping up with Google’s algorithm changes over the past few years, you might have noticed a mobile-dominant trend. Conveniently, just after mobile traffic grew beyond desktop traffic totals, Google announced that their search engine indexing would transition to mobile-first. While Google confirmed that the announcement wasn’t immediate and would roll out slowly as testing was underway, it’s been over a year and a half since the original announcement. As of March 26th, 2018, Google has officially announced the beginning of the mobile-first indexing rollout. This presents serious changes to the status quo of indexing. Currently, most sites are barely optimized properly for desktop, let alone mobile, where 21% of small business sites aren’t “optimized.” ? If Google suddenly flipped the proverbial switch to mobile-first indexing, the vast majority of sites dominating the competition would face an SEO Great Depression, potentially destroying their current modus operandi. So, what does mobile-first indexing really mean? When does it take effect and how can you prepare? In this post, we’ll explain mobile-first and how you can prepare your WordPress site for the changes to avoid potential disasters. Previously Google’s crawling, indexing, and ranking systems have used the desktop version of websites. Mobile-first indexing means that Googlebot will now use the mobile version of your WordPress site for indexing and ranking. This helps improve the search experience for mobile users. Be aware that you may also see more traffic in your logs from Googlebot Smartphone. With any Google announcement, it’s sometimes hard to read between the lines. Heck, we didn’t even have confirmation of the top two ranking factors for over a decade. Getting a straight answer from Google is as rare as a full solar eclipse. Mobile-first indexing is a pretty simple concept, but people often define it in unnecessarily complex ways. Let me break it down simply for you: Google has noted that the majority of people worldwide are browsing on mobile devices and are therefore visiting the mobile versions of websites. But currently, their entire indexing system looks at the desktop version of a site first when assessing quality and relevance for users. That’s a huge, potentially damaging, disconnect for Google that could cause searchers to abandon the platform. How so? If most people are using mobile devices to browse, yet Google indexes desktop versions for relevance and quality, it’s likely that mobile users are getting a sub-par experience. And remember the previous statistic: 21% of small business mobile sites aren’t optimized. That means that many Google users are inevitably visiting low-quality mobile sites. Google and business sites can’t afford to let that happen anymore. Not when 85% of users won’t return to your site or brand after having a poor mobile experience. And it wouldn’t be uncommon for traffic drops to happen if Google didn’t address this massive disconnect. In 2013, Google suffered a mere five-minute outage in service, resulting in global traffic drops of 40% and a $545,000 net revenue loss. It’s safe to say that Google is damage-proofing their current model, looking to prevent any potential catastrophes from happening in terms of both revenue and market share. For these reasons, Google will slowly roll out changes to make mobile sites first priority when it comes to indexing content for relevance and quality. Google will still index your desktop site versions, but they’ll give mobile the first priority. Mobile is more important than ever. Just recently, at the end of 2017, industry experts started to notice mobile-first testing and rollouts for a few sites. Google Webmaster Analyst Gary Illyes announced this information to the public crowds at the SMX East conference. And as of March 26th, 2018, Google has officially announced the beginning of the mobile-first indexing rollout. But rest assured, it will be slow and steady. Meaning you don’t have to worry about waking up to a potential internet doomsday where your rankings and traffic vanish overnight. John Mueller, a Google Webmaster Analyst, has also said that users will be informed via Google Search Console when their site has been moved. You can see an example of this email below. But that also doesn’t mean you can sit around waiting for the rollout to happen on your site. It’s coming whether you are prepared or not. Here’s how you can know if your site is ready and what changes you’ll need to make to stay afloat in this changing landscape. If you currently have separate mobile and desktop sites where you have to make updated changes, your site isn’t mobile responsive. For example, if the content and markup are different on each site, Google recommends that you make changes. With the new mobile-first index update coming fast, your site has to be mobile responsive or friendly. But if your site isn’t, don’t panic. You can resolve this quickly without breaking the bank or overhauling your entire website. One of the great benefits of using WordPress is that almost every theme sold today is responsive out of the box. However, if you’re running an older theme or are behind on updates, it could very well be your WordPress theme isn’t mobile-friendly yet. Here are a few things to do. First, make sure your WordPress theme is fully up to date. Sometimes developers will rebuild the code on older themes or move them to frameworks to ensure they are mobile-friendly. If you are jumping multiple versions, we always recommend taking a backup first and then testing the new version on a staging site. Second, if you’re using an out of date WordPress theme or the developer is no longer around, then it might be time to move to a new one. There are plenty of great free and premium WordPress themes to choose from. You could go with a lightweight, fast, and responsive theme like GeneratePress or OceanWP. These allow you to build just about any website and even support eCommerce shops. If you’re in a pinch, you can also use a WordPress mobile plugin. While we recommend this as a last resort, it can be one of the easiest ways to ensure your site is mobile-friendly right away. Some of the top plugins for mobile optimization currently are WPtouch, WP Mobile Pack, Jetpack, and OBox Mobile. With over five million downloads, WPtouch is one of the most updated, supported, and trusted plugins for optimizing mobile experiences. Currently active on over 200,000 sites and chosen as Google’s top pick for mobile solutions, it’s a safe and effective bet. The cheapest plan starts at $79.00, but you can customize your features a la carte if you want to tweak plans and pricing. WPTouch works by adding a mobile theme for visitors to your WordPress site. WPTouch is one of the easiest ways to ensure that your mobile site gives a better user experience for the upcoming mobile-first index. When it comes to optimizing your site for mobile-first, speed is one of the most important factors to focus on. Speed plays a major role in everything from usability to bounce rates and determining whether or not potential buyers will return to your site. In fact, bad mobile experiences will lead the majority of users to never return. According to the latest Google page speed report, the average time a mobile site took to load in 2018 was 15 seconds. ? Can you imagine waiting nearly half a minute to load a single page? Astounding. As you can imagine, users demand (and deserve) better. According to the same page speed report, 53% of mobile site visitors leave pages that take longer than a measly three seconds to load. Slow mobile experiences aren’t killing conversions. They’re preventing you from even getting a chance to convert prospects. As page load times increase by just a few seconds, the likelihood of someone bouncing climbs exponentially. If your mobile website takes more than ten seconds to load, you could be losing almost all of your potential customers and clients. And I have news for you: Your website is likely too slow. According to Google, the average site in every single industry is too slow. Reducing your bounce rate should always be of top priority. One of the best ways to do that is by improving your site speed. You want to give users an actual chance to consume your content rather than leave in a fit of rage. You can utilize GTmetrix, WebPageTest, or Chrome DevTools to see how fast your site loads over a 2G or 3G mobile connection. After making the changes suggested, run your site back through the tool and compare the results. You should see dramatic improvements that will set your site up for success in the upcoming mobile-first world. Remember, you most likely won’t be able to fix everything. The most important value to is your site’s overall load time. Make sure to also choose a fast WordPress host like Kinsta. We scored top tier again in the 2018 performance benchmarks from ReviewSignal and are powered by Google Cloud Platform, one of the fastest networks in the world. However, we recommend proceeding with caution depending on the type of WordPress site you have. Due to the fact that Google AMP is a big change, this can impact everything from conversion rates to CTAs. These, of course, can be set back up but will require some work. If you’re running a WooCommerce site and get a lot of mobile customers, make sure you test everything! We ended up removing Google AMP from the Kinsta site after testing. However, this isn’t to say we won’t be testing it again in the future. Google is making improvements on a regular basis to this technology. With mobile traffic dominating the online browsing landscape and Google adjusting accordingly, now is the time to shift your own internal focus. And while site speed is a direct step you can take to improve your site for the mobile-first index, it’s not the end-all-be-all. If you want to find true success with a mobile site, it has to become your priority. That means that you have to go beyond dynamic optimization and responsiveness. Your entire site should cater to the mobile user. Everything from the structure to the design and elements you use. Users browse very differently on mobile than they do on desktop. So more often than not, simply mimicking a desktop site for mobile devices won’t fully optimize the user experience. On mobile, screens are smaller, computing power is limited, and users are often on the go. Resolving these types of issues obviously requires serious thought. It may even necessitate a massive redesign of your site structure. But Google’s impending mobile-first index should be the straw that breaks the camel’s back. If your current site structure is deep and difficult to navigate on mobile, you should heavily consider testing the user experience on mobile. See which sections are difficult to activate and where common drop-off points are. With mobile-first, you should seek to simplify the experience of mobile users on your site. Instead of creating a complex desktop site first and a mobile site second, flip the script. HubSpot tested this back in 2015 when they decided to simplify everything on their mobile site. After they updated their landing pages and their subsequent forms so that they were condensed and simple on mobile, they achieved a 27% average decrease in mobile bounces. Combining the simplification of content and site architecture with responsive design lowered the bounce rate another 10.7%. On mobile, you have to fine-tune everything from responsive design to speed, architecture, and the user experience. And the only way to do that is by truly putting mobile first in your priorities. Another important thing to note is that with mobile-first indexing, content which is collapsed or hidden in tabs will not be treated differently than visible content (as it may have been previously), since this type of screen real estate management is actually a mobile best practice. More about this here. Check out these additional tips on designing content for the mobile-first index. Worried about your SEO with the new mobile-first index? While everything we mentioned above can help improve your SEO, you might also want to keep track of your keyword rankings on mobile vs desktop. This is especially important for those of you with a separate mobile domain, such as m.example.com. If content is the same on desktop and mobile, but reordered, does that matter? “How the page is structured matters for ranking”. You can easily do this with a tool like Accuranker or SEMrush. 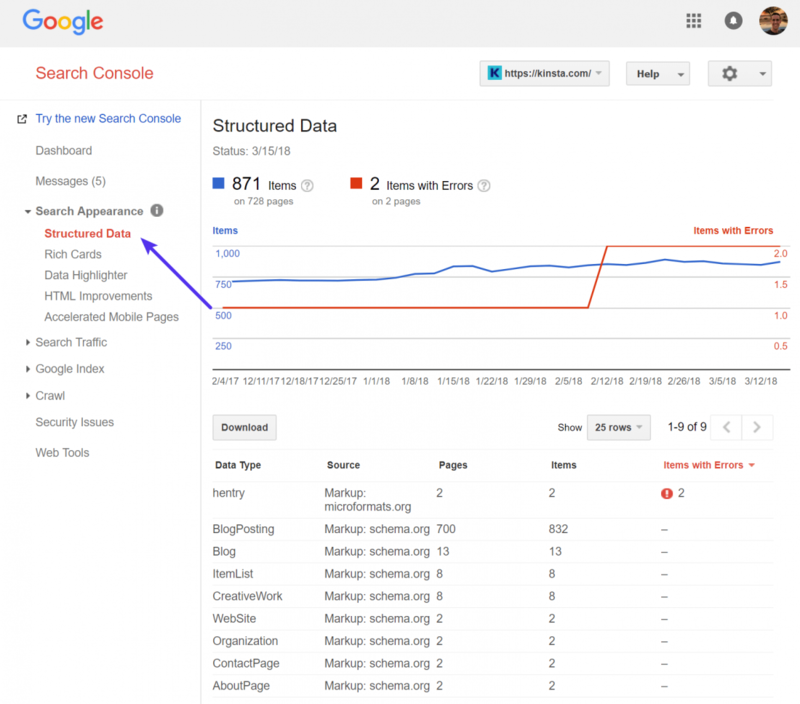 Now is a good time to implement this, before it happens, so you can effectively monitor how your site is impacted by the new change from Google. Make sure the mobile version of your site also has the important, high-quality content. This includes text, images (with alt-attributes), and videos – in the usual crawlable and indexable formats. Metadata should be present on both versions of the site. This includes things such as titles, meta descriptions, headers, etc. Check out our SEO checklist. Check hreflang links on separate mobile URLs. When using link rel=hreflang elements for internationalization, link between mobile and desktop URLs separately. Your mobile URLs’ hreflang should point to the other language/region versions on other mobile URLs, and similarly link desktop with other desktop URLs using hreflang link elements there. If you follow our WordPress multilingual guide you should be good to go! No changes are necessary for interlinking with separate mobile URLs (m.-dot sites). For sites using separate mobile URLs, keep the existing link rel=canonical and link rel=alternate elements between these versions. Glenn Gabe dives into some additional issues seen with separate mobile domains and canonical tags. Less than two years ago, mobile traffic overtook desktop traffic worldwide and Google let us know they were going to make changes to how things were indexed. And it’s now here! Google has started rolling out the new mobile-first index as of March 26th, 2018. If your site hasn’t been moved yet there is still time to get ahead of the curve. Focus on making your site mobile-friendly and responsive, improving speed, and putting mobile first in everything that you do on your site. Have any other mobile-first index tips we missed? Let us know below in the comments.